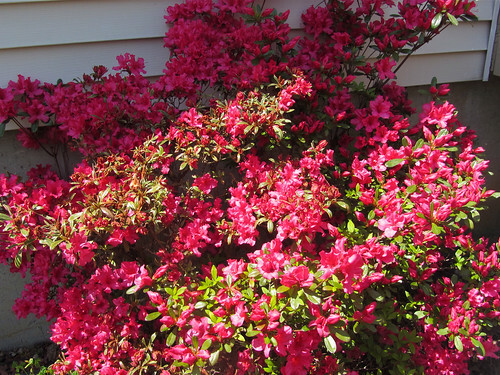 There is a lovely azalea bush growing on the back side of our house. The blossoms have finally opened. I think it's beautiful even though some of it didn't make it through the frost earlier this week.